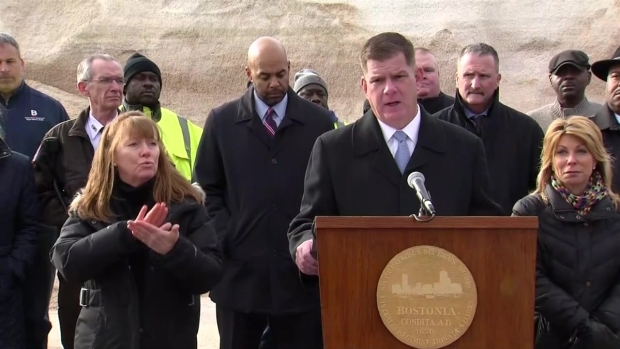 Boston city officials announced Wednesday crews are ready for winter with tens of thousands of tons of road salt and hundreds of pieces of snow-removal equipment. Although a major storm isn't in the forecast for now, Boston officials say the city is ready for winter. 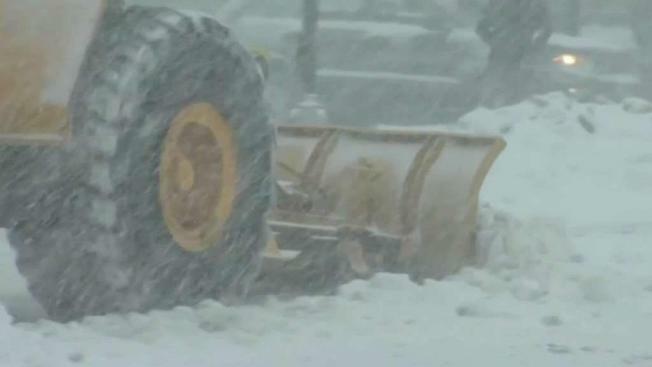 Officials announced Wednesday morning that the City of Boston has tens of thousands of tons of road salt and hundreds of pieces of snow-removal equipment ready for whatever Mother Nature throws at the city this winter season. "Climate change brings a lot of unpredictability to our weather, and in fact tomorrow we're anticipating the coldest Thanksgiving on record here in Boston," Mayor Marty Walsh said. The city has put aside $2 4 million for cleanup, which should help pay for as many as 800 pieces of equipment and about 44,000 tons of salt. Officials said they started to prepare for winter in August, as the city dealt with record high temperatures. Neighborhood Services Director Jerome Smith asked residents during Wednesday's press conference to shovel out fire hydrants and to make sure sidewalks were accessible for those with limited mobility. "Please, please, please shovel out your fire hydrants and the catchbasins, and the ramps in the cross walks," Smith said. "It's very important." The city will continue to try and cancel school the day before whenever possible so parents have enough time to make arrangements, Walsh said. He stressed that the city won't be making changes to its space saver policy, and said space savers will need to be removed 48 hours after a snow emergency is canceled. The mayor also called for drivers to keep their cool if another driver takes their spot during that 48 hour window. "If you save a space space and somebody takes your space, treat them with dignity, not by vandalizing their vehicle," Walsh said. Officials also announced a greater effort to help the homeless this winter season. More than 1,500 people can find shelter on any given night through the year in Boston, but this winter, there will be an extra 200 beds. "On cold and stormy days, Pine Street will double its outreach vans, reaching people, encouraging them to come in and be safe," City Housing Chief Sheila Dillon said during Wednesday's press conference. Residents are encouraged to sign up for City of Boston snow alerts through the city's website. The city's hotline 311 is available 24 hours a day for questions. Click here for more information on the city's preparedness plans for winter, including where to park during a snow emergency.